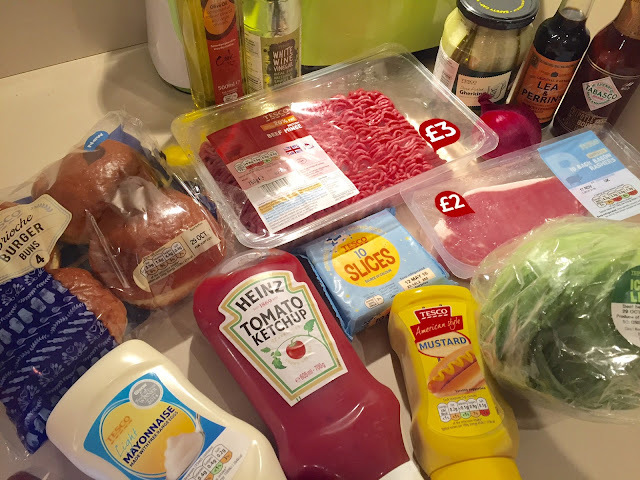 In collaboration with Homeserve and the launch of their new blog Ketchup today I am sharing a recipe for an Insanity Burger !! Check out more yummy recipes on the Ketchup Blog !! 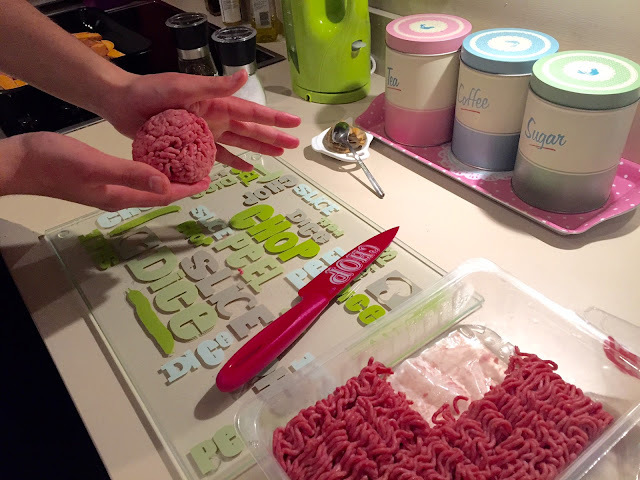 Divide mince into 4 and, with wet hands, roll each piece into a ball, then press into flat patties roughly 12cm wide and about 2cm wider than your buns. Place on an oiled plate and chill in the fridge. 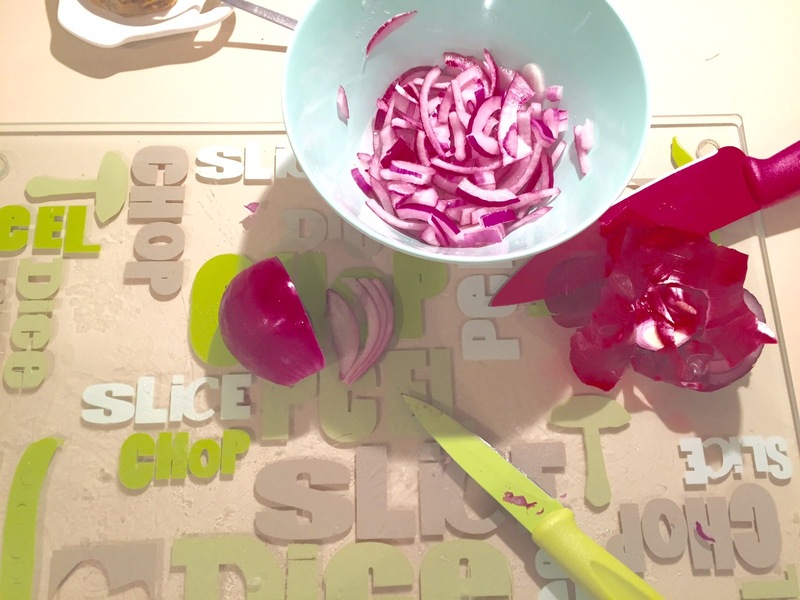 Next, finely slice the red onion, then dress in a bowl with the vinegar and a pinch of salt. Slice the gherkins and halve the buns. Finely chop the lettuce and mix with the rest of the burger sauce ingredients in a bowl, then season to taste. Get a large non-stick pan on a high heat for your burgers and another on a medium heat for the bacon. Pat your burgers with oil and season them with salt and pepper. 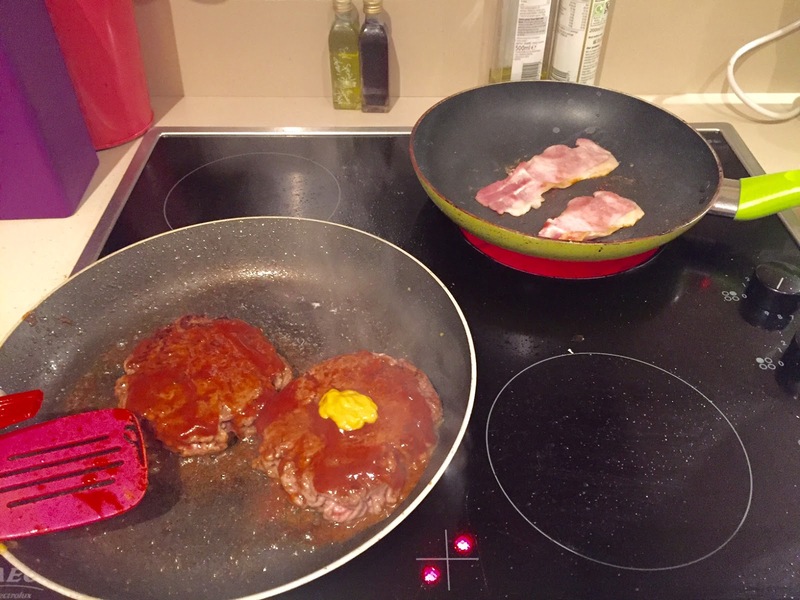 Put 2 burgers into the first pan, pressing down on them with a fish slice, then put half the bacon into the other pan. 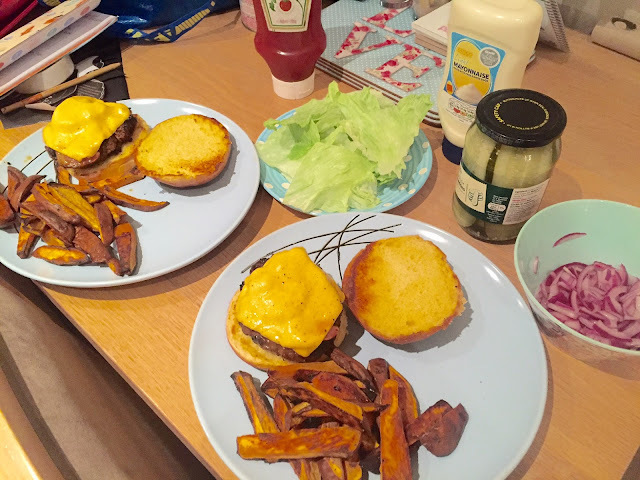 After 1 minute, flip the burgers and brush each cooked side with ½ a teaspoon of mustard and a dash of Tabasco. After another minute, flip onto the mustard side and brush again with another ½ teaspoon of mustard and a second dash of Tabasco on the other side. 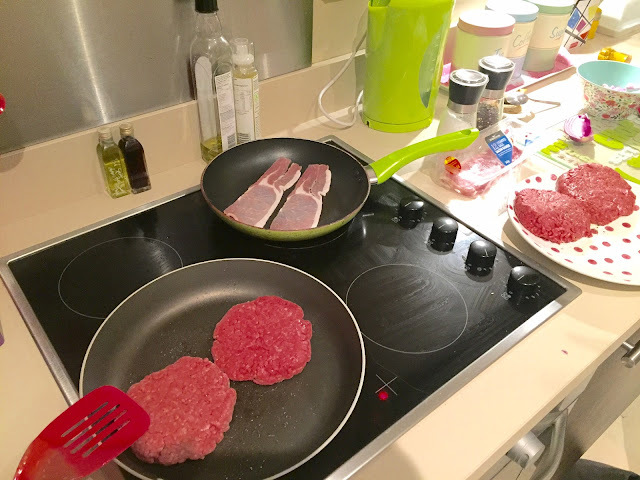 Cook for one more minute, by which point you can place some crispy bacon on top of each burger with a slice of cheese. 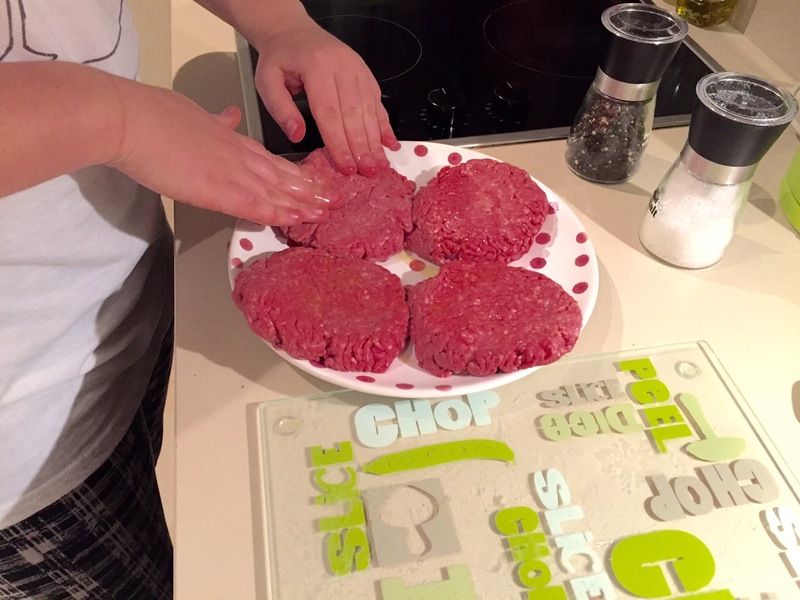 Add a tiny splash of water to the pan and place a heatproof bowl over the burgers to melt the cheese – 30 seconds should do it. At the same time, toast 2 split buns in the bacon fat in the other pan until lightly golden. Repeat with the remaining two burgers. As the burger rests, juices will soak into the bun, so serve right away! These where so delicious and really filling too ! We could only have one burger each! What do you think to this recipe ? Let me know if you try it out!